If you want to save a bit of money, but don't want to compromise quality, then the Holiday Inn Express Dunstable is for you. This 3-star hotel has fantastic rooms, its own restaurant and a 24-hour bar! It gets better as breakfast is included in the price, so you don't need to travel on an empty stomach. 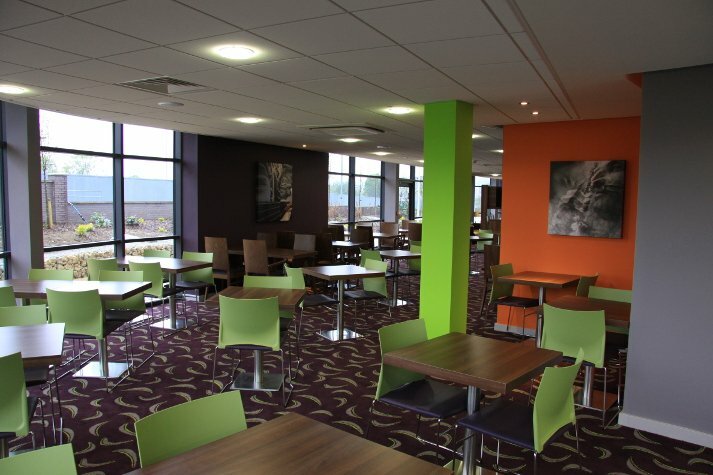 The hotel's bar also serves food, so if you fancy a posh meal or a light bite, your needs are catered for. 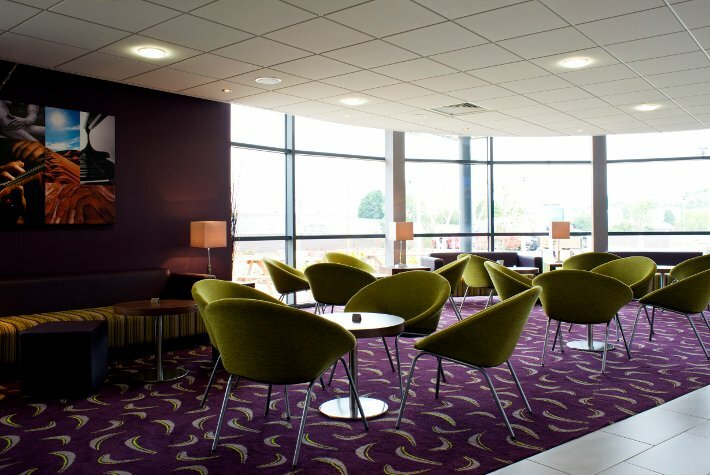 If you like to stay connected, you can with the hotel's free wifi which is available throughout the building. All in all, booking this hotel offers you a bit more than the basics at a good price. When you book the Holiday Inn Express Dunstable, you'll be delighted to know that your airport parking is also taken car of. Parking with Airparks is included in the price so not only can you enjoy an overnight stay before your flight but you can also rest assured that your car is in safe hands whilst you're away. The procedure is simple, simply drive straight to the Airparks car park, park up and hop on the transfer bus to the airport. 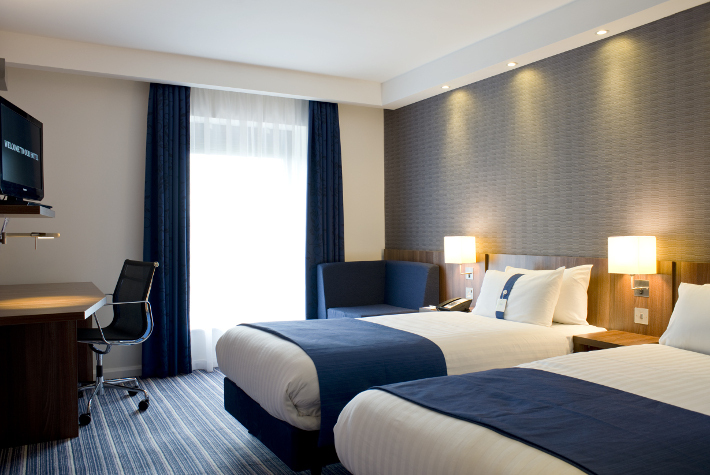 Finding a Luton airport hotel is easy with Holiday Extras. Check out the details below to see if this the hotel for you. Yes, all went smoothly. The staff were good. The bedroom was good. The only thing you could improve on was the menu for evening meal. There were only four items on it. Excellent hotel and very professional and helpful staff. Not so the taxi service. Staff were excellent. Room was really good. It was as described could not fault it. 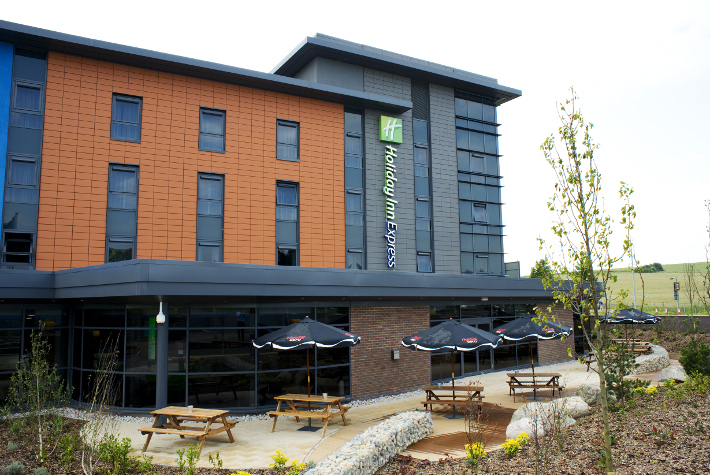 Our customers rated Holiday Inn Express Dunstable on average 8/10 (23 reviews). 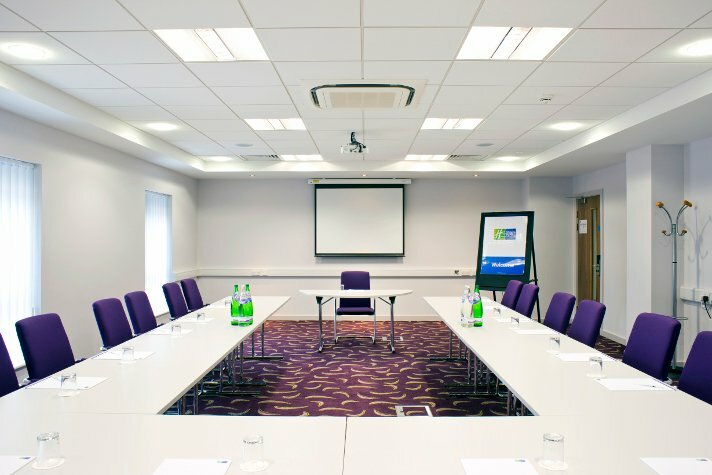 Read Holiday Inn Express Dunstable reviews. 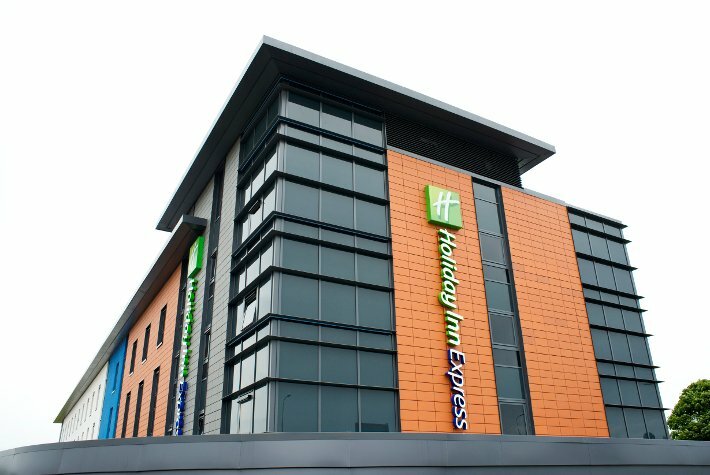 If you need an affordable place to stay, but don't want to rough it, then why not book yourself in to the Express by Holiday Inn Dunstable, where you not only get great rooms, you also get great facilities. 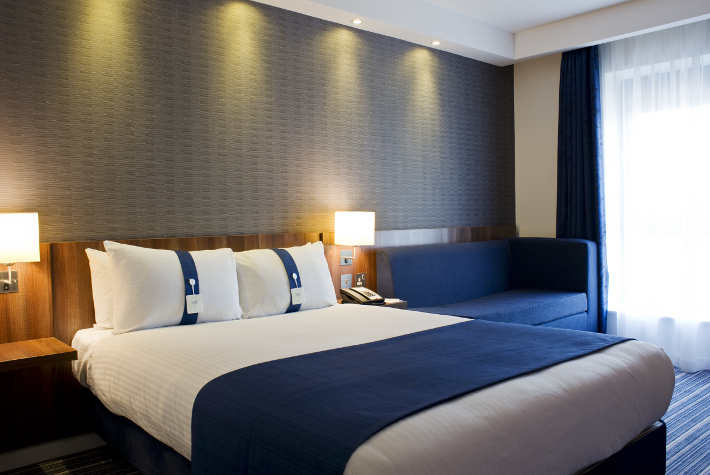 The 3-star hotel can be found just outside the main town and surrounded by fields, however it's only a short drive away from the M1, giving you great links to London and the airport. 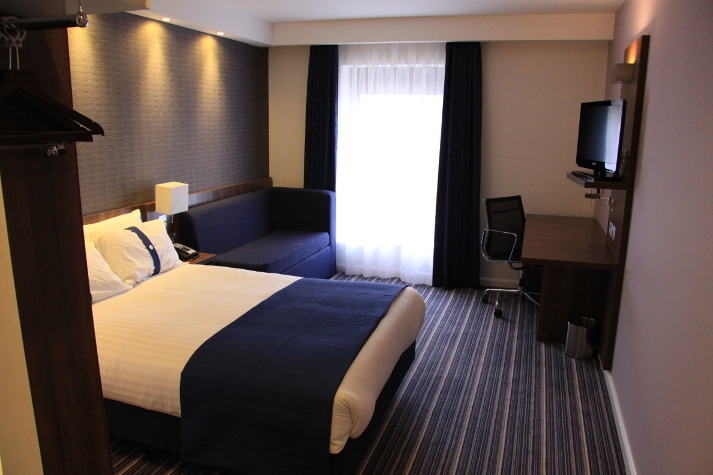 In fact, the hotel is only 7 miles away from the airport, so you won't need to rush to get out in the morning. The earliest you can arrive at the hotel is 14:00 and once you've got there, you'll simply need to park your car and wander to reception. Parking overnight is included in the price, so you don't need to worry about extra costs. 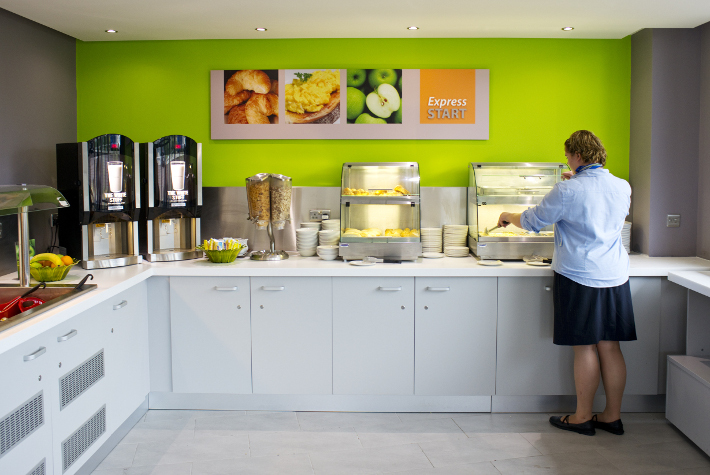 The Express by Holiday Inn Dunstable has it's own restaurant on site, serving a selection of scrumptious dishes. 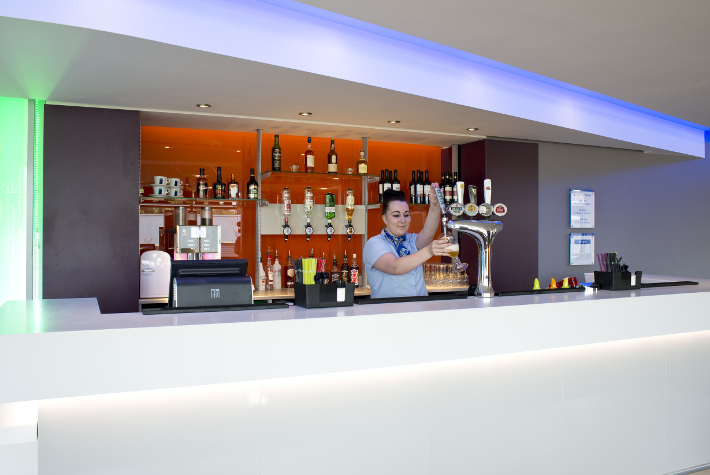 If you're looking for something lighter or more traditional, then why not head over to the Great Room Bar and Lounge, where you can enjoy an informal drink or two and tuck into a pizza, curry or burger. The restaurant is open for dinner from 18:00 to 21:30, and the bar is open 24 hours for guests. When you've finished wining and dining, head up to your room and enjoy some telly and a cup of tea before you drift off to a peaceful sleep. The next morning, make a beeline to the restaurant where you can tuck into a hot English breakfast or feast on a selection of continental options at the buffet. Breakfast is included in the price and served from 06:30 to 09:30 Monday to Saturday, and from 07:00 to 10:00 on Sundays. If that's not enough, with this package you get secured parking at Airparks, so when you leave the hotel, simply drive to Airparks where you're car will stay while you're away, and catch the transfer bus to the airport. The latest you can check out from the hotel is 11:00. This really is everything you need to get your holiday off to a stress-free start, so book now to get the best deals around. The hotel only serves food on Monday to Thursday. 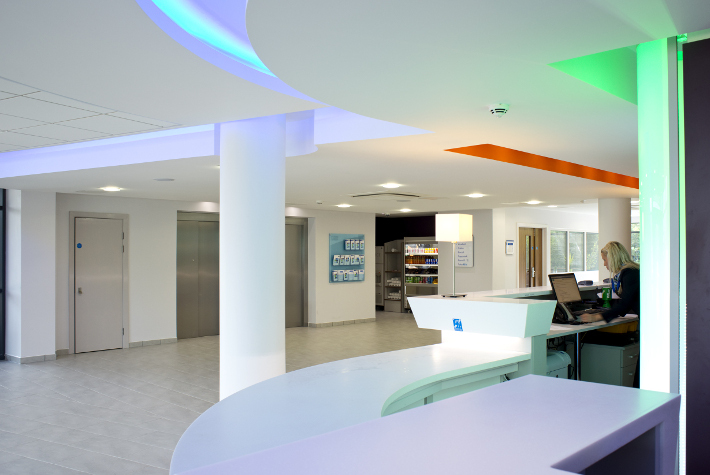 Disabled facilities There are 6 accessible bedrooms, a disabled toilet and lifts to all floors. Park your car at Airparks, then take one of the transfer buses to the airport. It takes just 13 minutes to get to the airport, which is 4 miles from Airparks. Buses run every 20 minutes, 24 hours a day. You can even enjoy free wifi on board. There's no need to worry about navigating through the airport traffic when you arrive, because there's a purpose-built area for drop-off buses. So when you get to the airport it's just a short 3-minute walk on the pavement to the terminal. When you get back from your holiday, catch the transfer bus back to Airparks. Buses leave from bay 12 at the drop-off area of the terminal. The new buses are all fitted with seatbelts and have plenty of room for all of your luggage. They lower so it's easier to get on and off, and can also accommodate wheelchairs. Transfers are included in the price. Skis, snowboards, bikes and large items can be taken onto the transfer buses as long as they are securely fastened and/or are in appropriate cases. If the luggage racks are already full when you reach the front of the queue you will need to wait for the next bus - don't worry, they come every 20 minutes.